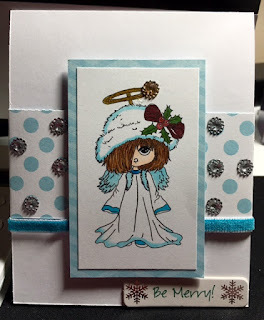 Stamping In Living Color: Celebrating Christmas in July with the Brown Sugar Challenge! 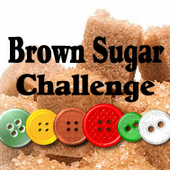 Celebrating Christmas in July with the Brown Sugar Challenge! Merry Greetings! Although summer temperatures across the country have reached the triple digits, many of us like to think about the joyous time we share with family and friends during the Christmas holiday season. I certainly do! :) Today's card features a lovely digital stamp by Lacy Sunshine Stamps. Her name is "Sugi Christmas Angel." Isn't she adorable? I had a lot of fun using my Copic Markers to color her. I hope my holiday card will inspire you to begin thinking about the Christmas cards you'll design later this year. Have a nice weekend and thanks for stopping by!